Plan the perfect Valentine’s Day using your phone | Join the discussion, ask questions, share advice. If your aim is to do better than last year’s gift of a generic heart-shaped card and petrol garage flowers, then point your arrow at these four ways to really bring it this Valentine’s Day. Cue heart-eye emoji levels of affection. If your better half is one of those “I’ll be happy with just a card” people, they’ll love a personalised one from Funky Pigeon. It’s super easy to design on your phone, and it'll be professionally printed and sent in a couple of days - or delivered First Class (if you’ve left it to the last minute). So, it’s time to dig out all of those romantic or hilarious couple’s photos and get creative. Never underestimate the power of flowers. This Valentine’s Day, delight your loved one with some stunning stems courtesy of global flower delivery company, Bloom & Wild. There’s a great app available, where you can choose from an amazing array of bouquets and you can request free next day delivery too. So, even if you forget to order a present, you can still save the day with a last-minute romantic surprise. 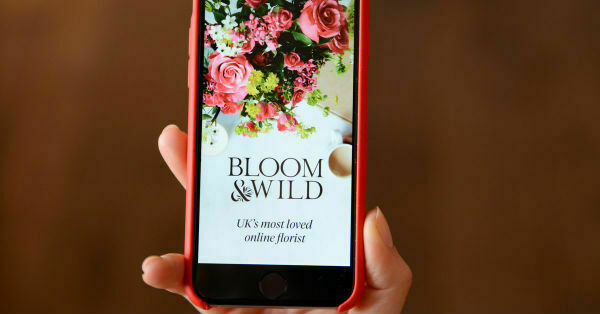 Download the Bloom & Wild app free on Android and iOS. We think someone once said “music is the language of love” – and whether that person actually existed or not, we wholeheartedly agree with them. Why not make your partner a personalised playlist full of all of the songs that tracked your romance? Whether you use Spotify,Apple Musicor Google Play Music– making a curated playlist is completely free and lots of fun. Plus, it really shows that you’ve made an effort and thought about them, by creating something personal. Ah, aren’t you lovely. Looking for something fancier than your local pizza joint? Then consider the Opentableapp ‘the one’. It’s perfect for finding and booking a suitable restaurant for you and your partner. You can search for tables by location, cuisine, price and even special offers. Plus, booking couldn’t be easier. So, whether their preference is Indian or Italian cuisine, finding a spare table somewhere for the 14th should be a doddle. Download the Opentableapp for free on Android and iOS. 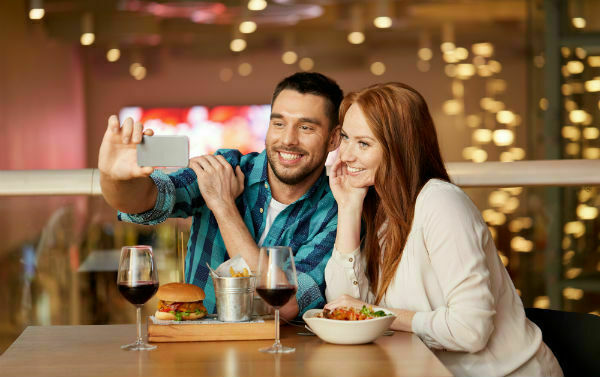 If you’re single but fancy nabbing yourself a hot date in time for Valentine’s Day, check out our 5 of the most lovable dating apps article. Whatever you’re doing for Valentine’s Day, we hope you have a good one. If you’ve got any hints for creating the perfect romantic day, leave them in the comments below.